Evictions are tough. The process is heart-breaking, stressful and full of emotions for both the renter and the owner. 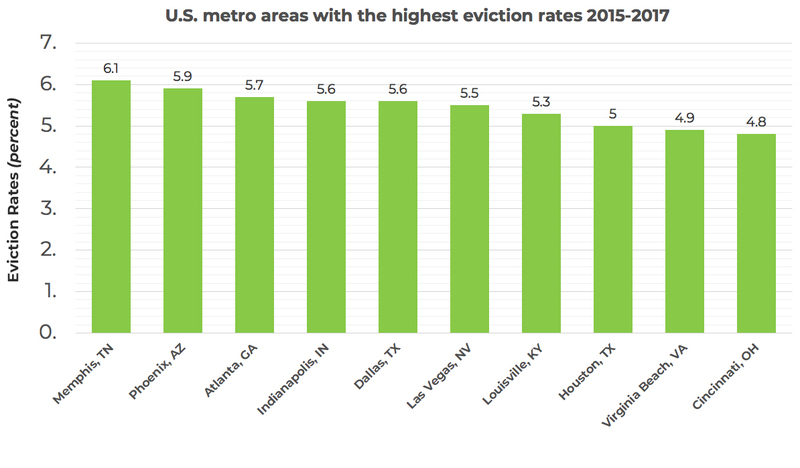 Evictions are quite common in major rental cities, ranging from 6.1 percent to 4.8 percent. 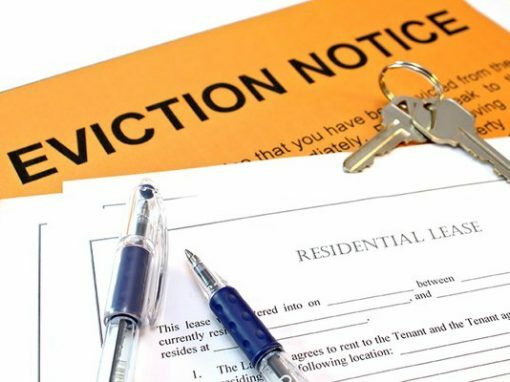 As a rental property owner, you are liable to huge risks if you are not aware of the local, state and federal laws pertaining to evicting your renter. You would have read the story of a San Francisco landlord charged with a $3.5 million judgment after wrongfully evicting renters. A recent eviction notice put up by a landlord went viral with the majority denouncing the tongue in cheek attitude portrayed by the smiley eviction notice pinned on the door. There are things you could do, If you are a self-managing landlord, without any help of an experienced real estate firm when your renter files for bankruptcy. More importantly, be aware of 5 strict policies when filing an eviction. Attempting to “self-evict” a renter is not recommended and trying to do so will end up causing you a tremendous amount of problems. The first step would be to contact an eviction attorney to have the process professionally evicted. Understand that every state has different rules and regulations regarding the eviction process. Make sure that you are following the proper procedures and laws for your property. Wait until you get approval from the court to do anything like changing any locks, removing the renter’s property, or shutting off utilities. In order to give yourself the best possible chance to win the case, you’ll need to show the judge that you are an upstanding and compliant landlord and that the fault belongs to the renter. Most independent landlords and homeowners do not have enough knowledge to handle a court eviction by themselves. For this reason, it’s a good idea to find legal counsel to advise you during this process. Make sure that you have concrete evidence that the renters have breached the rental agreement or lease, failed to pay rent, or cause harm or damage to the premises, neighboring properties, or neighboring renters. If you have documented all delinquent activity through emails, voicemails, and text messages, then this should be fine. If you have not, then you may struggle to evict your renter. In court, it will be your word against theirs. Providing as much evidence that supports your arguments in court will increase your chances of winning. Before taking legal action, try to reason with your renters. Meet up with them in a non-hostile environment and explain the situation to them. 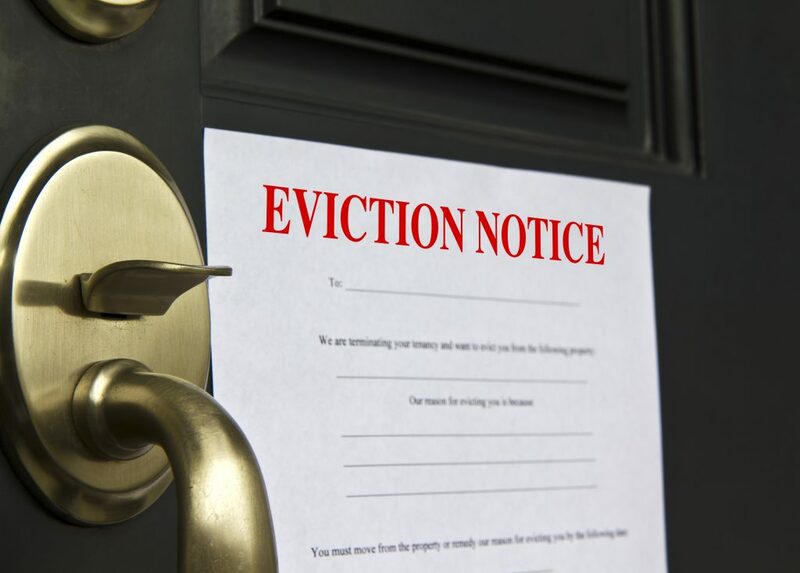 Evictions are a scary thought, and the renter may decide to vacate the property to avoid the risk of an eviction. During this conversation, it’s important to remain firm, but you don’t want to come across as overly-aggressive. 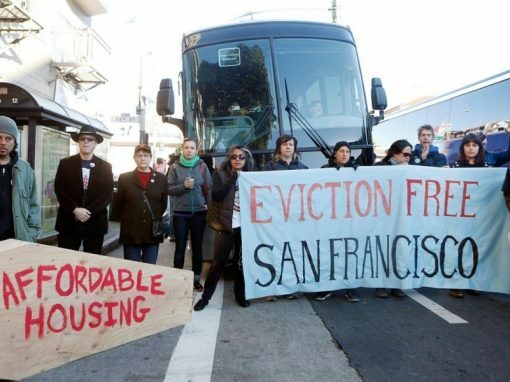 Landlords can actually negotiate to pay a renter to move instead of filing an eviction. By talking to the renter upfront, you just saved you and the renter a great deal of time, money, and emotional distress. Eviction should always be a last resort because of the high costs and long hours needed. You can serve a notice before filing an eviction in court. Do you know that there are three types of notices that you can serve according to the situation? Notice to Pay Rent or Quit: This notice is appropriate if the tenant hasn’t paid the full amount of rent when it was due. This notice is should list the full amount due, including any late fees and provide the time frame in which they need to make the payment. If the tenant pays the rent by the deadline, then the notice is satisfied and there can be no eviction. If the landlord still wanted to pursue an eviction, they would need to serve another notice with its own time frame. Notice to Cure or Quit: This notice should be used when the tenant has violated the lease or agreement in some way. Like the notice to pay rent, the tenant is given a time frame in which they have the opportunity to correct the violation, and if they successfully do so, the landlord cannot pursue an eviction with this notice. The notice should specify which part of the agreement has been violated. Notice to Quit: This notice tells the tenant that they must move out by a certain date or the landlord will be following through with an eviction. This notice doesn’t give the tenant the chance to correct their mistake and should be used in situations where the tenant has had multiple violations or offenses. The notice to quit is only allowed in certain states, and the time frame tenants have to move out varies state by state as well. No matter the type of notice, make sure that you date when the notice was issued and sign it. You can deliver the notice to the tenant personally or leave it with a responsible adult at their home or workplace. In any case, you’ll want to provide the tenant with multiple copies of the notice to be sure they get it. Sending them one by mail and taping a copy to the front door should suffice. In order to prevent an eviction from happening in the first place, it’s good practice to hire a property manager that thoroughly screens tenants and provides protection in the event of an eviction. 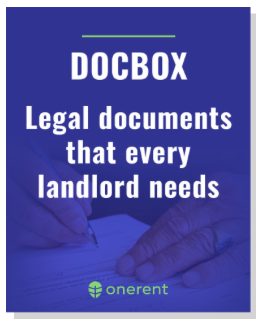 Our Onerent DocBox is packed with helpful resources that can guide you towards a successful rental experience.